Traveling and living abroad can be a risky business. Insurance coverage applicable to an overseas move is very different from your typical domestic homeowners or renters policy. Package policies specifically designed to cover the unique aspects of international assignments are recommended. Coverage at your residence abroad for fire, theft, acts of God, etc. It is advisable to seek "All-Risks" coverage, which provides broader protection, as well as “Replacement Cost” coverage, assuring a non-depreciated claims settlement. It is not recommended to rely on the insurance policy provided by shippers and packers. Such policies may be inadequate, expensive or simply unavailable. Also, in the event of a loss, it may be difficult to determine which party is fully responsible, resulting in the possibility of a denial of your claim. It also is advisable to complete a full inventory of effects, both transported abroad and left in U.S. commercial storage. This will allow you to comprehensively file claims with an insurance company in the event of a loss. This includes coverage for collision and comprehensive. Collision insurance is coverage for your vehicle while being operated. Comprehensive insurance provides coverage for the vehicle while it is parked, including theft, vandalism, etc. Each coverage is provided under one policy. It is recommended that this coverage be purchased from a U.S. insurance company. The purchase of this coverage within the country in which you are located can be very risky. Many local companies are poorly regulated and, therefore, provide inconsistent claims settlements. 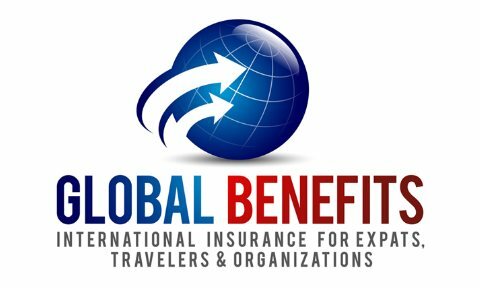 Many overseas insurance companies simply do not provide for standard areas of coverage that are normally expected. In many cases, there is no regulatory body which can assist you if you are dissatisfied with your claims settlement. Automobile Primary Liability insurance must be purchased in the country in which you are located. Local governments will require this in order to register your vehicle. Be aware that limits of coverage can be very low in many countries. If you are uncomfortable with the level of coverage available in your country, you may wish to obtain Excess Liability insurance. This coverage simply increases your locally purchased primary coverage to an appropriate level of protection (U.S. $300,000 or $500,000). Excess Liability coverage should be purchased from stateside insurance companies. Also be aware when shopping for Primary Liability insurance that rates may vary drastically. Do not assume that the premium quote you receive is the standard within that country. Shopping for competitive rates is as essential abroad as it is in the United States. Foreign Comprehensive Personal Liability coverage is available as an endorsement to personal property policies. This coverage provides protection against the payment of sums you may be held responsible for in the event of suit. It protects you from losses that could occur on premises while living abroad. It is recommended that such coverage be purchased. Rates for this coverage are usually inexpensive. When moving abroad, it is important to understand that stateside policies may need to be converted to appropriate forms of insurance coverage. For example, when renting your home to others while residing abroad, your current homeowners policy must be canceled and written under an appropriate Fire Dwelling Policy, which should also include Owners', Landlords' and Tenants' Liability coverage. It is important to make your domestic insurance agent aware of your move, as well as to make sure your insurance agent is familiar with the necessary coverage when residing abroad. If you are not covered under a group medical insurance program, individual policies can be purchased. These policies include worldwide medical protection and also can include evacuation services. Costs are reasonable and, in many cases, less expensive than stateside coverage. We have found the following information below vital in selecting the appropriate insurance program. The following is a handbook approach that makes the purchasing and understanding of international insurance as simple as possible.